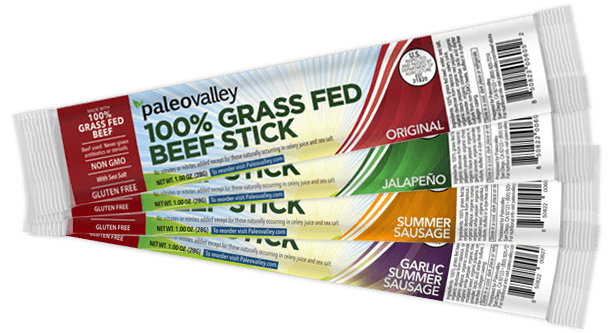 100% Grass Fed Beef Sticks | SEE OUR LATEST PRODUCT REVIEWS!!! . With our newest ultra high quality product, we’ve created a snack that is not only gluten free, grain free, soy free, dairy free, preservative free, and non GMO but is Paleo-friendly, NUTRIENT-DENSE, gut-friendly, a clean protein, and EXTREMELY TASTY! 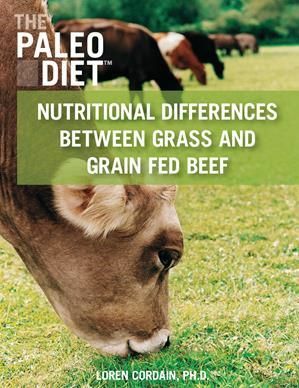 Elevated levels of Conjugated Linoleic Acid (CLA) – Grass-fed beef is one of the best sources of CLA. CLA exerts potent antioxidant activity. Studies have documented CLA’s ability to prevent diseases like cancer, diabetes and heart disease. More minerals – grass-fed beef contains more calcium, magnesium, potassium, zinc, phosphorus, beta-carotene and iron than grain-fed beef. Increased levels of fat soluble vitamins A, D, E and K. Fat soluble vitamins enhance mineral and protein absorption and are believed to protect against cardiovascular disease. Elevated concentrations of your body’s master antioxidant, Glutathione – a powerful antioxidant that helps protect the body from oxidation and DNA damage. Give Me My Beef Sticks Now!! !